Home - Cook Manufacturing Group, Inc.
Cook Manufacturing’s breadth and depth of expertise and experience can be put to work in any phase of your operation . Cook Manufacturing’s breadth and depth of expertise and experience can be put to work in any phase of your operation. Why Cook Manufacturing Group are The Experts. We are the experts in evaporation, concentration, and drying of food and juice products. Cook Manufacturing Group, Inc. (CMG) is your source for equipment and expertise to enhance your plant’s operations and efficiency. T.A.S.T.E. 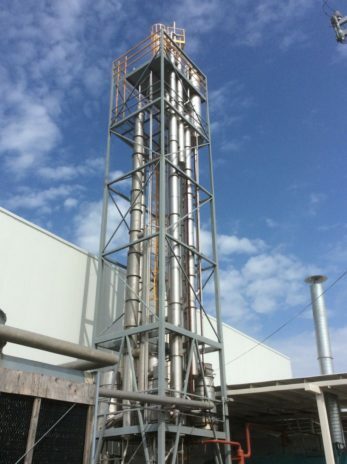 * and Waste Heat evaporators, feed dryers, and a wide variety of other equipment we design, manufacturer and install can provide you the competitive advantage needed in today’s business environment. Take time to look at the products, services, and expertise we can bring to assist you in taking your operation to a new level of performance. Cook evaporators have been the industry standard for the juice concentrate business for over 50 years. Energy efficiency, unparalleled craftsmanship, and reliable performance are the hallmarks of the Cook-produced evaporator. With capacities from pilot plant scale to 100,000+ pound per hour units, Cook Manufacturing Group, Inc. can provide for the evaporation needs in your industry. The breadth and depth of expertise and experience of Cook Manufacturing Group is available for support in any phase of industrial operation from conception to troubleshooting to operational optimization. In addition, Cook Manufacturing Group can assist in the feasibility study and justification for any proposed investment in new equipment or systems.